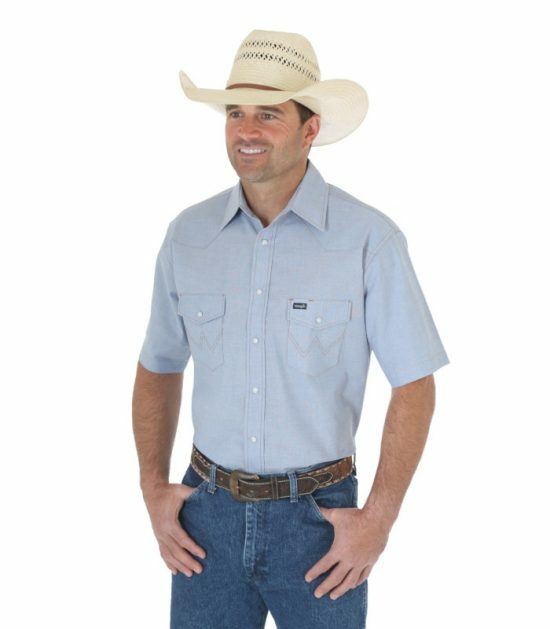 The Cowboy Cut® collection features only the best, like this short sleeve work shirt. Authentic Western front and back yokes and two authentic Western spade flap pockets with snap closures. 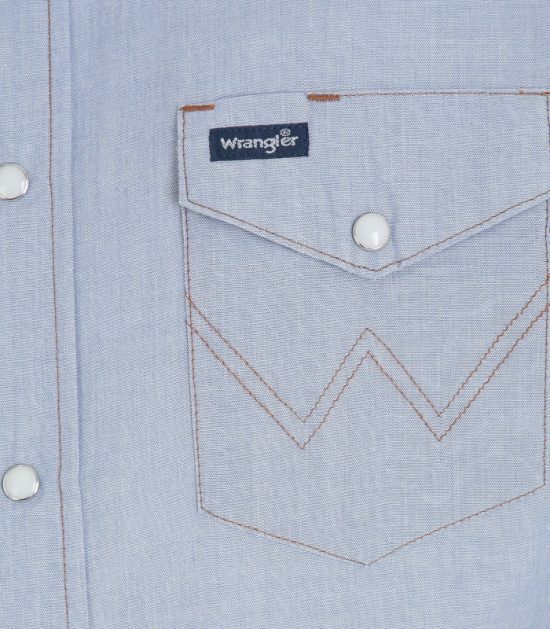 Branded with the Wrangler ‘W’ logo.